Born in Jerusalem in 1954 , Ari Ben-Shabetai studied composition with Mark Kopytman at the Jerusalem Rubin Academy of Music , and with George Crumb and Richard Wernick at the University of Pennsylvania , U.S.A. where he received his Ph.D. degree in Composition . Ari Ben-Shabetai currently serves as head of the Composition , Conducting and Theory Department at the Jerusalem Rubin Academy of Music where he teaches composition , theory and analysis . The composer has won many awards , scholarships and prizes both in Israel and abroad . His Sinfonia Cromatica won the first prize in the 1994 Israel Philharmonic Orchestra composition competition , taking the work on tour to Germany, France, Italy, and the U.S.A. with Maestro Zubin Mehta conducting . Magreffa for symphony orchestra was commissioned in 1995 by Maestro Lorin Maazel for the Pittsburgh Symphony Orchestra and was performed both in Pittsburgh and in Jerusalem . In 1996 he was awarded the Prime minister of Israel prize for composers . 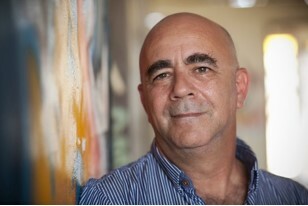 Ari Ben-Shabetai was Chairman of the Israel Composer's League during 1994/5 , and is currently, once again, chairman since March 1997.